AIR Niugini held an open day in Mt Hagen as part of its 42nd anniversary. It attracted hundreds of people and students from schools in Western Highlands and parts of the Highlands region on Saturday. The event was staged at the Mt Hagen Park Secondary School ground. Different departments in the airline including engineering, cabin crew, human resources and marketing explained what their roles were. Air Niugini chief executive officer Simon Foo said the day was for the general public to get first-hand information on the airline operation. Foo said the presence of Air Niugini’s partners including the PNG Tourism Authority, National Airport Corporation and two flying schools from Fiji made the event more exciting and colourful. 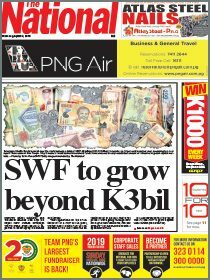 “Air Niugini’s staff function was held in Port Moresby on Thursday,” he said. He said the cooperate function was for the airline’s key business partners . The staff function was to recognise the longest serving staff for their service and contribution to the airline. 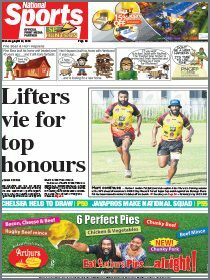 Meanwhile, 130 Air Niugini staff members will receive their awards this year after working for up to 40 years. Air Niugini commenced its operations on November 1, 1973.